With Warner Bros.' Justice League hitting theaters this weekend, the studio is holding its world premiere screening in Los Angeles tonight, but even if you can't be there in person, Warner Bros. has you covered. The studio will be hosting a live-streaming event directly from the red carpet on all of the studio's social media channels, starting at 8:30 PM ET/5:30 PM PT. 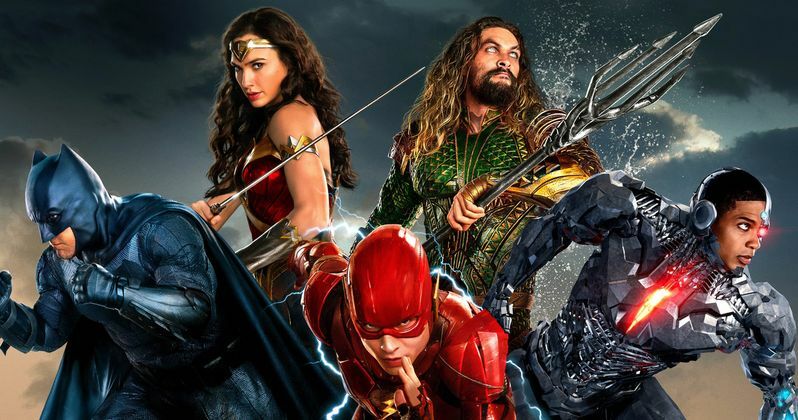 All of the main stars will be in attendance, including Ben Affleck (Batman), Gal Gadot (Wonder Woman), Jason Momoa (Aquaman), Ezra Miller (The Flash), Ray Fisher (Cyborg) and Henry Cavill (Superman), just to name a few. Fans can watch all of the big arrivals and interviews with the stars on the following video below. While we're just a few days away from the release of Justice League in theaters, the full reviews are still under embargo, although many of the Justice League early reactions from critics who have seen early screenings, are quite mixed. Still, it doesn't appear to be as big a critical failure as the first two DCEU movies, Batman v Superman: Dawn of Justice and Suicide Squad, but it also doesn't seem to be quite as big a hit with critics as this summer's superhero blockbuster Wonder Woman. It isn't clear quite yet when the full reviews will be posted, but it will be interesting to see the reactions. Last month, we also reported that box office analysts were predicting a Justice League opening weekend of anywhere between $110 million and $120 million, which falls short of both Batman v Superman and Suicide Squad, but comes in just ahead of Wonder Woman. Still, regardless of what its opening weekend may be, the real key to success will be how much it drops off in the second weekend and beyond. Wonder Woman posted a better domestic gross than both Batman v Superman and Suicide Squad, despite its opening weekend falling far below both those movies' opening weekends, showing much greater longevity in theaters than its DCEU predecessors. If Justice League is to have any success, it would do well to emulate the path of Wonder Woman, and not its predecessors. The supporting cast includes other previously-established DCEU characters Amy Adams' Lois Lane, Diane Lane as Martha Kent and Connie Nielsen as Hippolyta, Robin Wright as Antiope and Jeremy Irons as Alfred Pennyworth. This movie also introduces a bevy of new characters like Amber Heard as Mera, Kiersey Clemons as Iris West, Billy Crudup as Henry Allen, J.K. Simmons as Commissioner Gordon, and Ciaran Hinds as the villainous Steppenwolf. There have been rumors that this movie may also introduce Green Lantern, who hasn't officially been cast at this time, but we won't find out for sure until the movie hits theaters in just a few short days. Fueled by his restored faith in humanity and inspired by Superman's selfless act, Bruce Wayne enlists the help of his newfound ally, Diana Prince, to form the Justice League and face an even greater enemy. Together, Batman and Wonder Woman work quickly to find and recruit a team of metahumans to stand against this newly awakened threat. But despite the formation of this unprecedented league of heroes-Batman, Wonder Woman, Aquaman, Cyborg and The Flash-it may already be too late to save the planet from an assault of catastrophic proportions. Take a look at the video below to watch the live stream of the Justice League world premiere, courtesy of Warer Bros. YouTube.